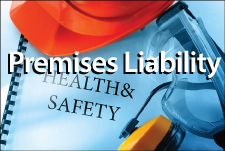 Accidents involving federal, state or city government employee or property or negligent employees are complex. There are many different layers of law to navigate and many different parties are often involved. Navigating these personal injury cases must be done with the help of an experienced lawyer. Without the help of a knowledgeable legal professional, you could be shortchanged and manipulated into receiving far less than what you need to cover costs associated with your injury. At Chambers & Noronha, our attorneys have years of combined trial experienced. We prepare all of our cases for trial. In fact, Gary L. Chambers is a member of the American Board of Trial Advocates – a prestigious claim no other firm in Orange County can make. Local, state and federal government entities are well-aware of our legal reputation. Each level of government has different requirements. Instead of litigating a negligent claim, these cases require you to bring suit under a particular statute. We are committed to carefully investigating the circumstances of your accident as we build a strong case that will ultimately result in the best outcome possible. We make an investment on behalf of our clients so they can proceed with confidence. We will not charge any fees until or unless we obtain compensation for you. To schedule your free initial consultation with one of our government liability lawyers in Orange County, please email us or call 714-558-1400.